The incidence of scorpion accidents, although still recent, has intensified mainly in the last two decades. The issue has drawn the attention of authorities and researchers. Data from the Ministry of Health show that in 2018 there were 141.4 thousand cases in the whole country. In 2017, there were 125 thousand, and in 2016, a total of 91.7 thousand cases. The number represents an increase of 16 thousand occurrences if compared to 2017, and an increase of almost 50 thousand if compared to 2016. It has been observed that scorpions are adapting to the urban environment with great ease, a fact that contributes to the growth of the species’ populations, given its biology and behavior, and increases the potential of accidents due to the greater proximity of these animals to large human populations. Some hypotheses have been formulated to explain the increase in scorpionism, including the issue of deforestation, poor urbanization conditions, and global warming, however, there seems to be no feasible explanation. According to Professor Lofego, in other regions of the world where the incidence of scorpion accidents is also important, such as Mexico and Northern Africa, this increase has not been observed. In addition, even in Brazil, this increase is not uniform, there are considerable variations in the progression of accidents from one region to another, i.e., the North-West region of São Paulo had an increase in the last ten years of almost one thousand percent, while the neighboring region (North São Paulo), with very similar climatic conditions, had a much smaller increase, of one hundred percent, in the same period. Although poisonings caused by Tityus serrulatus (yellow scorpion), which occurs especially in the Southeast, are generally considered to be more severe than those caused by other species, the official surveillance system shows that lethality in the Brazilian Amazon is significantly higher in comparison with other regions. From 2000 to 2017, there were 122 deaths among 57,360 cases registered in the Amazon (0,2%); while in the extra-Amazon, there were 1,111 deaths among 893,177 cases. However, this can occur due to transportation difficulty in this region, which can lead to a greater delay in health assistance. The main reason behind the increased incidence of scorpion accidents may be a local factor, related to the particular way of dealing with the problem in each region, for example, the control techniques employed. “It is very common in some regions to use chemicals, which are proven to be ineffective, and still lead to the scattering of scorpions. In addition, the use of these products may also be inducing the reproduction process, since many species in a life-threatening condition accelerate the reproduction process as a strategy to guarantee future generations”, says Professor Lofego. For him, it is possible that something similar is happening to scorpions when using poisons, especially since it is a species that reproduces by parthenogenesis, that is, without the need for females to be fertilized by a male, as is the case of the yellow scorpion, where induction of reproduction does not depend on a partner. “In this case the induction could be caused by the stress created by the applied chemical”, he observes while arguing that this is just a hypothesis and studies still need to be held to prove or refute this hypothesis. “Meanwhile, we must avoid using these products”, he concludes. Regarding the high case fatality rate, Dr. Monteiro states that this can be a result of challenges form small remote towns in the Amazon related to the health staff’s personal experience, appropriate antivenom therapy and quality of care, the latter depending on the availability of minimum infrastructure of health units, especially pediatric ICU, since children form the most vulnerable group. 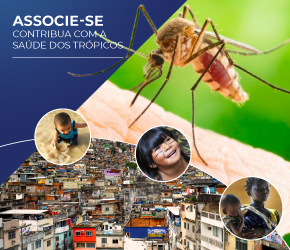 Still according to him, in these remote municipalities, so far from the reference centers, investment in the training of health professionals for the initial management of the patient and the monitoring of possible complications of scorpion stings is essential. The researcher acknowledges that despite the high incidence of scorpionism, there is a lack of systematic training of professionals on diagnosis, specific therapy and clinical management of complications. “Thus, misuse of serum is often seen, with sub or overdosage”, he reports. For Dr. Monteiro, current training programs should seek to link medical knowledge to the biology and surveillance of snakes and scorpions. “However, this approach often does not reflect the need for coherent and timely diagnostic algorithms and medical management. This way, adherence to medical training and courses in this area has been a major challenge. In addition, there is a high turnover of health professionals in small towns”, he admits. Still according to the researcher, although communication technologies that greatly facilitate the dissemination of knowledge have increased, they are still underutilized. “The use of electronic means for training professionals (telehealth) is increasing and may be an alternative to on-site courses in the future”, he says. Professor Lofego says there is still a lot to understand about the causes of the evolution of accidents with scorpions in recent years, and on techniques to control the population of these animals. According to him, it is necessary to sensitize the authorities for research investments. “Only with the best knowledge on this issue we will be able to develop strategies to control and reduce the occurrence of accidents”, he said. To the professor, the Brazilian health system is performing well in the current situation, especially in the state of São Paulo. But given the projections that the incidence of accidents will continue to increase in the coming years, he says it is not possible to predict how long the system will bear. 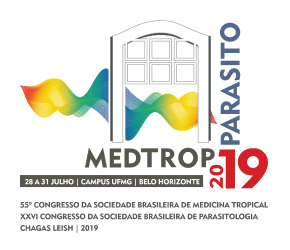 Dr. Monteiro recalls that Brazil is a world reference in the study of venomous animals, but there are still many bottlenecks in the literature. As for the serums currently manufactured in Brazil to neutralize scorpion venoms, Dr. Monteiro, who is also a biochemical pharmacist, clarifies that they are immunoglobulins derived from horse plasma and there are two types available in Brazil: the anti-corticosteroid serum and a polyvalent serum against spiders and scorpions. “A plan to achieve self-sufficiency manufacturing sera was structured in the last 40 years in Brazil, in the context of a reform in the health system. The industrial plants of national public laboratories were modernized and a program to reduce morbidity and mortality by accidents with venomous animals was created, as part of the National System of Epidemiological Surveillance System”, he adds. Serum distribution is decentralized to reach hospitals in nearly 3.000 municipalities and to provide free treatment. The National Agency of Sanitary Surveillance (Anvisa) organized the regulatory environment to implement standards and supervise compliance with good manufacturing practices, raising the quality of the sera produced, as well as reducing production costs. However, Dr. Monteiro regrets that despite all advances in the health system, serum availability and accessibility are not uniform considering the most vulnerable parts of the population, who live in remote areas. For him, better logistics and transport of serums is an issue to be addressed and realistic and comprehensive health programs for these vulnerable groups must be effectively structured in order to reduce the high rates of morbidity and mortality. 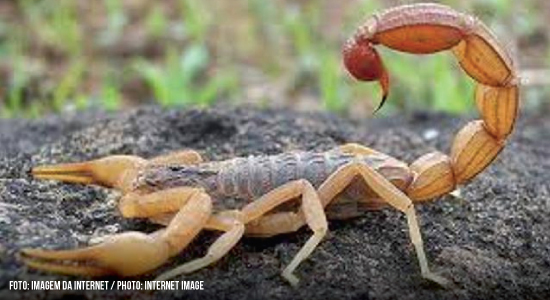 The main clinical effect of scorpion bites is intense pain. In addition, other local symptoms observed at the site are paraesthesia, edema, erythema, sweating, piloerection and burning sensation. Since the lesions do not have a typical characteristic that discriminates them from injuries caused by other arthropods, the diagnosis of scorpion poisoning can be very imprecise, especially those that do not show systemic signs. This fact contributes to a delay in adequate care and delays the serotherapy. Severe cases of poisoning are characterized by systemic neurotoxicity, with autonomic system alterations. Circulating toxins may stimulate an excess of adrenergic stimulus (sympathetic effects), which include tachycardia, hypertension, myocarditis, agitation, convulsions, and mydriasis, or an excess of cholinergic stimulation (parasympathetic effect), which can lead to bradycardia, vasodilation, vomiting, diaphoresis , miosis, bronchospasm and others; neuromuscular effects are also possible through excessive excitatory stimulation and can lead to oculomotor abnormalities, visual disturbances, muscle spasms, paralysis, and uncoordinated neuromuscular activity. The resulting myocardial depression can lead to shock, coma, and multiple organ failure; pulmonary edema and respiratory insufficiency are possible secondary to cardiac disorders and uncoordinated neuromuscular activity, respectively. In case of a sting, it is important to remain calm and wash the wound with soap and water. Then immediately head to a doctor’s office. It is also recommended, if possible, to take the animal or a photo to identify the species. Children under 10 years of age and the elderly are more vulnerable. They should be taken to a referral center as soon as possible. One should not apply compress, ice or tourniquet (technique used to control hemorrhages) near the site of the sting, as this will potentiate the action of the poison. The website of the Ministry of Health offers the complete list by state in the section “List of hospitals – accidents with venomous animals“.